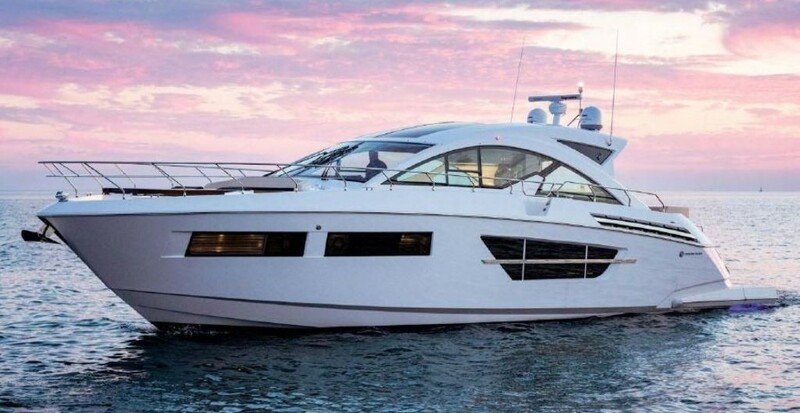 The 5000 pilothouse, the same model as the Sedan Sport, is a stylish Eurostyle motor yacht with the aggressive good looks of an Italian import. She is built on a fully cored modified V hull with a shallow keel for better performance, improved tracking and prop pockets for a reduced shaft angle. The access the the spacious command bridge is both from the cockpit as well as the salon. There are three staterooms, two have ensuite heads with enclosed showers. The salon is a wide open concept with an inline galley, raised dinette and helm complete with a pilothouse door and inside access to the bridge deck. The engine room access is via the lazarrette. Call anytime for an appointment to view.